President Donald Trump has indicated that he will pursue gun control measures following the massacre in Parkland, FL, but one of his top supporters in Congress has a much different idea for reform. He has filed the “SAFER Voter Act” to empower more law-abiding citizens to be able to carry firearms. 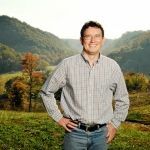 Rep. Thomas Massie (R-KY) introduced the SAFER Voter Act (H.R. 5112) to end a federal prohibition on adults aged 18 to 20 that is stopping them from being able to buy handguns from Federal Firearms License (FFL) holders. Massie thinks that the 2nd Amendment should not be up for grabs following a tragedy, and that more American citizens should exercise their rights rather than less. “Why should a 20-year-old single mom be denied the right to defend herself and her children? 18, 19, and 20-year-olds are considered adults and are able to vote on important public policy issues. They can also form business contracts, get married, and serve in the military. 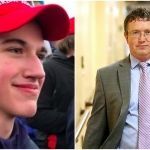 As adults, these Americans should not be deprived of basic constitutional rights,” Massie said in a Facebook post. President Trump echoed Democrats yesterday during a legislative summit with top Washington D.C. lawmakers. He indicated that Republicans were scared of the NRA and that due process should be revoked for gun owners in certain situations. 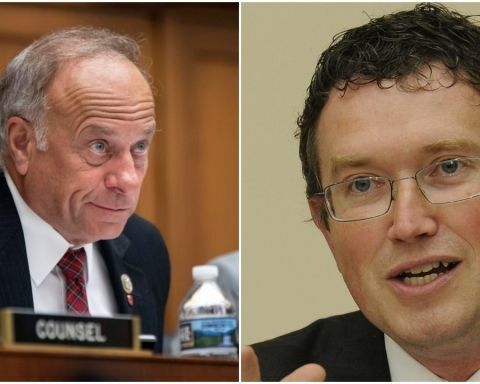 Despite his constant support of Trump, Massie is sounding the alarms at these potential infringements upon the 2nd Amendment. 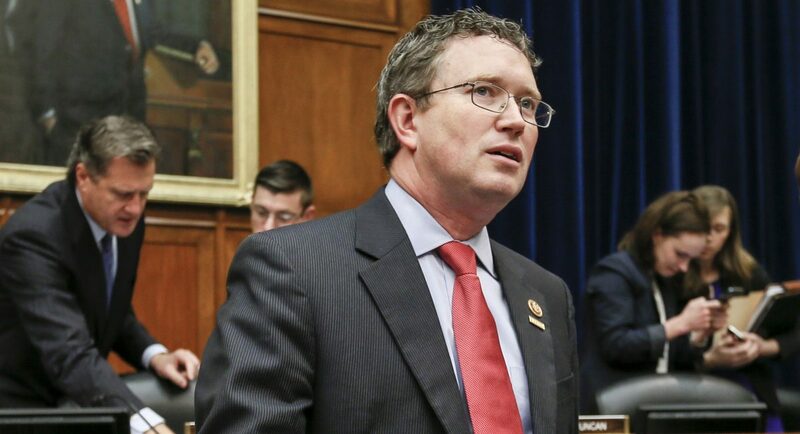 “Recent proposals to raise the minimum age to purchase a long gun from 18 to 21 are not simply misguided, but are also unconstitutional, especially if citizens under 21 are barred from purchasing a handgun,” Massie said. He sees this as a crucial civil rights issue. Massie believes that age discrimination pertaining to gun rights is not a policy that the country should be pursuing. 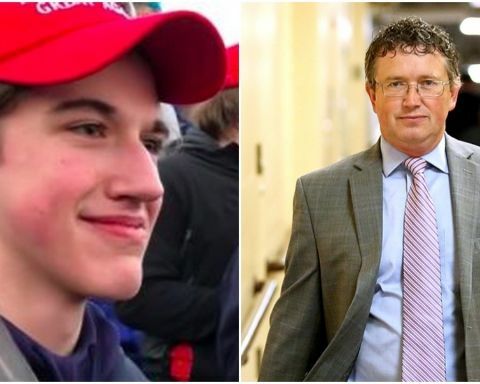 “District of Columbia v. Heller established that gun control measures cannot be so draconian as to completely extinguish the right to keep and bear arms, yet that’s what happens when all gun purchases are prohibited for a certain class of adults based on age,” Massie said. H.R. 5112 does not have any co-sponsors at the present time. It will have to be approved by the House Committee on the Judiciary before it can move forward to a full House vote. I have said all along that Trump is an idiot. People are now beginning to catch on.He means well but doesn’t all idiots? STILL, I would rather have an idiot figurehead in office that the prohibitionists. ONLY he should serve as a figurehead only and not be allowed to do any real damage. ATT # EDITOR; There is no edit button? I have to be with Massie too! I really like Trump, but he was right at the start of the school issue and now looks political Don’t let the left herd you into a corner! He’s play the left like the marcs they are. Josh Maddox uh huh sure. Stop drinking the kool aid dude. Modern cults don’t use kool aid to control there followers.They use much better methods. Supporting Lautenberg Law in NICS is tyrrany agains Our Constitution. EX POST FACTO, DOUBLE JEOPARDY, BILL O ATTAINDER. misdemeaner dv conviction prior to 97 law had no DUE PROCESS against lifetime ban, INFRINGING ON AMERICANS 2A RIGHTS from decades old conviction, falsly acused. I wonder what it would be like to live in a country where the elected officials actually took the Constitution seriously and behaved as though it was the highest law of the land. Previous Story Previous post: What’s Next For Gun Policy Reform?